Addiction occurs when a person becomes physically or psychologically dependent on a substance, thing, or activity, generally leading to withdrawal symptoms when it is unavailable. Many people engage in potentially addictive behaviors recreationally, but when those behaviors are abused to the point of interfering with day-to-day functioning at work, in the classroom, at home, or in relationships, it becomes a serious issue that may require intervention and treatment. Faces & Voices of Recovery claims on its site that more than 21 million people experience addiction and are not yet in recovery, and according to the National Council on Alcoholism and Drug Dependence, approximately 17.6 million people in the United States experience alcohol abuse or dependence, along with millions more who partake in risky behaviors such as binge drinking. The all-consuming nature of addiction takes a physical, mental, and emotional toll on the addicted person and on those who love and care for him or her. It follows that recovering from addiction takes time, dedication, and support—and ultimately, the addicted person must be the one to summon the resolution and determination to make a full recovery. Thankfully, there are several resources available for coping with addiction, be it yours or that of someone you care about. 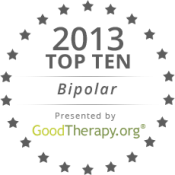 We’ve compiled a list of the 10 best ones—GoodTherapy.org excluded—for 2013. 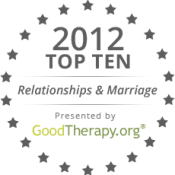 As with our previous top 10 lists, our selections are based on quality and depth of content, presentation, and functionality. National Institute on Drug Abuse (NIDA): This multifaceted, government-run site offers several informational resources and links for those who are experiencing addiction, those affected by another’s addiction, and those who work with addictions in clinical or community support settings. The site emphasizes the importance of using science-based approaches to understanding and treating drug abuse and addiction, and is committed to facilitating the rapid dissemination of the latest in addiction-related research. National Institute on Drug Abuse for Teens: NIDA for Teens provides numerous links and resources pertaining to drug abuse among adolescents ages 11 through 15. The site features the “Sara Bellum Blog,” geared toward teenagers who may be experiencing peer pressure and are wishing to educate themselves about drugs. There are also basic drug facts, lesson plans and activities materials for educators, and informational pages to guide parents in keeping their children drug free. Substance Abuse and Mental Health Services Administration (SAMHSA): SAMHSA, a U.S. Department of Health and Human Services organization, aims to reduce the impact of substance abuse and mental health issues. The goal of the site is to make information, services, and research related to substance abuse and mental health issues readily available to the public. A “Find Help” page is particularly useful for those who are in need of services or seeking help for a friend or loved one in crisis. National Institute on Alcohol Abuse and Alcoholism: The National Institutes of Health (NIH) offer this site specifically for those who are affected by alcohol abuse and alcoholism. It provides research-based statistics and information on the varying degrees of alcohol usage and what constitutes abuse, as well as the effects of alcohol on physical health. There are links to publications, including journals, reports, brochures, and fact sheets, presentations and videocasts, classroom resources, and clinical manuals, as well as to research initiatives and opportunities for grant funding. 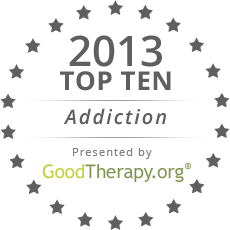 Sober Nation: This is another site geared toward those who are recovering from addiction or seeking guidance and support in the withdrawal process. Several articles and posts share personal stories of addiction and recovery; the discussion forums offer a sense of community; and the “Sober Nation Store” offers apparel for those who wish to wear their recovery proudly. There is also a free, 24-hour addiction hotline for those seeking immediate help. The Addiction Recovery Guide: This “online guide to drug and alcohol addiction recovery” offers several pages of helpful insight and information for people in recovery. For people who think they may be experiencing addiction, there are links to personal evaluations for alcohol and drug use. The site also offers links to treatment options, programs and resources, medications used in treating addiction, holistic approaches to addiction, a message board, and a “Beyond Recovery” section for those looking for assistance in maintaining sobriety, securing housing and employment, and pursuing higher education. Al-Anon Family Groups: Al-Anon is known for its devotion to its stated purpose of providing “strength and hope for friends and families of problem drinkers.” The site offers helpful quizzes and information to assess whether you are affected by someone else’s drinking. There are also specific sections for professionals and teens which offer insight on how Al-Anon works and how to approach teenagers who show signs of alcohol abuse. The Partnership at Drugfree.org: Along with a helpline and other resources to aid in preventing, intervening in, and treating and recovering from addiction, this site offers a comprehensive “Drug Guide” that features detailed information on more than 40 commonly abused narcotics. Readers also have access to a variety of community education tools, tips, programs, and other information, including useful videos for training and educational purposes. For parents seeking immediate help in dealing with an addicted child, there is a “Parents’ Toll-Free Helpline” as well as a collection of materials guiding parents and loved ones through the intervention process. Faces & Voices of Recovery: This online community is devoted to providing help, guidance, and support for those who are recovering from addiction, and encourages such individuals to share their stories and join the movement to advocate for reduced addiction stigma. On the landing page, visitors will find links to videos and stories of people in recovery along with a webinar series on the importance of living in “safe, sober, and peer-supportive environments” while in recovery. Recovery-themed merchandise—including shirts, hats, and mugs bearing the slogan “Got recovery?”—and reading materials can be purchased in the online store. National Council on Alcoholism and Drug Dependence, Inc. (NCADD): This comprehensive site offers numerous informational resources for parents, youth, recovering people, and their family and friends, as well as self-tests for adults and teens who wish to assess whether they are addicted to alcohol or drugs. NCADD also advocates for increased community awareness and support of addiction and provides location-specific treatment referrals to those in need. Nominate another website for our Top 10 awards here. I’ve found smartrecovery.org to be the most helpful for myself. Let me tell you, Al Anon saved my life and I honestly believe that without it my dad’s drinking would have wounded me even more than it did. It was through these meetings with other daughters and sons just like me that I learned that I was not in this alone, that there are other families living with these same addictions and hurts every day. It didn’t give me the power to change him but it gave me the strength to save me. I love the options that your lists provide, thanks for the useful information. Sober Nation sounds like it could be quite a help to someone looking for support but may not necessarily feel the most comfortable with meetings and the 12 step philosophy. I am not an addict but have always been aware of their struggles and really want to be able to help someone I amy encounter who needs that kind of support, so I am always looking for new resources to suggest or recommend. All the blogs mentioned are very worthy of being on this list. It’s so good to see communities of caring people sharing stories and educating people about addiction.